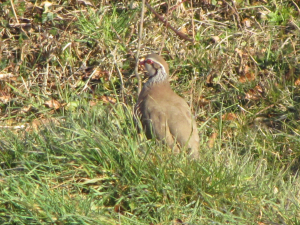 Observation - Red-legged Partridge - UK and Ireland. Description: The call alerted me to this birds presence - It was just at the entrance to the grounds of a pub. The call alerted me to this birds presence - It was just at the entrance to the grounds of a pub.